Hope you've all had / are having a refreshing break and have unplugged yourself from social media for at least two days. It's great for the soul. In 2011, I'm nudging Web Wednesday back to the FIRST Wednesday of the month and will try my best to keep it there. Please understand if I need to move it around, due to venue or speaker availability or my own travel schedule. 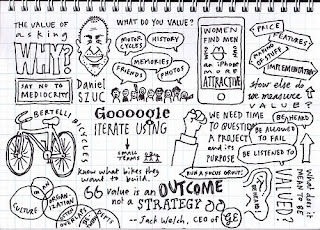 We're kicking off the new year with a very inspiring talk on "The Value of Asking Why?" 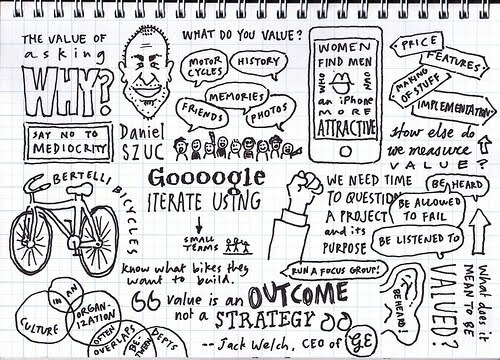 by Daniel Szuc, renowned international speaker (UX Australia) and Principal Usability Consultant at Apogee Hong Kong. Sign up on Facebook or this blog. 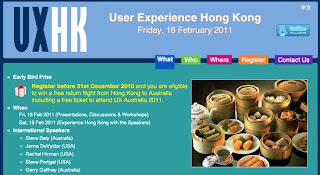 Daniel has even produced a usability kit for web designers and is organizing Hong Kong's first User Experience Conference, UX Hong Kong (香港使用者經驗研討大會). As per their website, "UX Hong Kong is a 1 day intimate UX program to learn, discuss, experience, share and immerse with some of the best UX international talent and local community from Hong Kong and Asian region. We have invited speakers to provide snapshots and workshops on the topics of UX strategy, design research, mobile design and the UX toolkit. Everyone attending will have an opportunity to preview all speakers in the morning and then an opportunity to choose 1 workshop in the afternoon to go into a topic more deeply with one of the speakers". Our social mixer will start at 6:30pm and wind up around 9:30pm, with the talk/interview starting at 7:15pm. As per usual, there's a HK$100 entrance fee, including one complimentary drink and the chance to win lucky draw prizes, sponsored by CrossFit Asphodel, a newly launched fitness training Centre in Quarry Bay. Looking forward to another exciting year of digital evolution.